Which downtown locations were special to early Faribault residents? 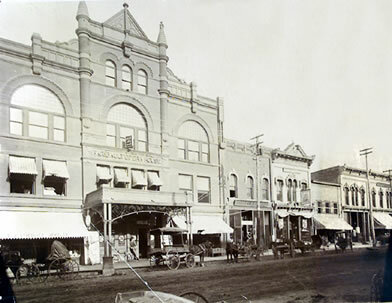 Prior to the construction of Faribault’s Opera House in 1893, entertainment events were held in a variety of “halls” around the city. 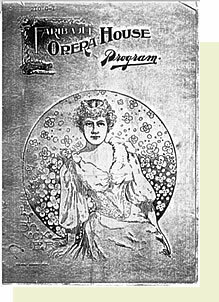 The name “opera” was used, although the shows were considerably more diverse, because the term “theater” was not considered refined enough. From 1893 to 1899, the Opera House was the site of Shakespearean plays, lectures, Minneapolis Symphony concerts and an actual opera or two. 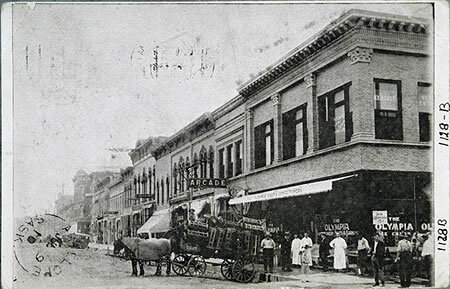 In 1908, Greek immigrant Gus Boosalis and his wife Mary came to Faribault and opened a cafe, fruit store and confectionary (candy store) in the Cosgrove Glass Block building at the corner of 4th and Central. The store later expanded to include an ice cream parlor and dining area, specializing in homemade candy and ice cream. Their sons followed in the Boosalis’ footsteps, and the family served the community for over 70 years. In 1983 the business was purchased and renamed Central Station.